**You can use half and half instead of heavy cream, but your soup will be less rich. Add the olive oil, mushrooms, garlic, and a pinch of salt and pepper to a soup pot. Saut� the mushrooms over medium heat until they have released all of their moisture, all the liquid has evaporated from the bottom of the pot, and the mushrooms become very dark brown. 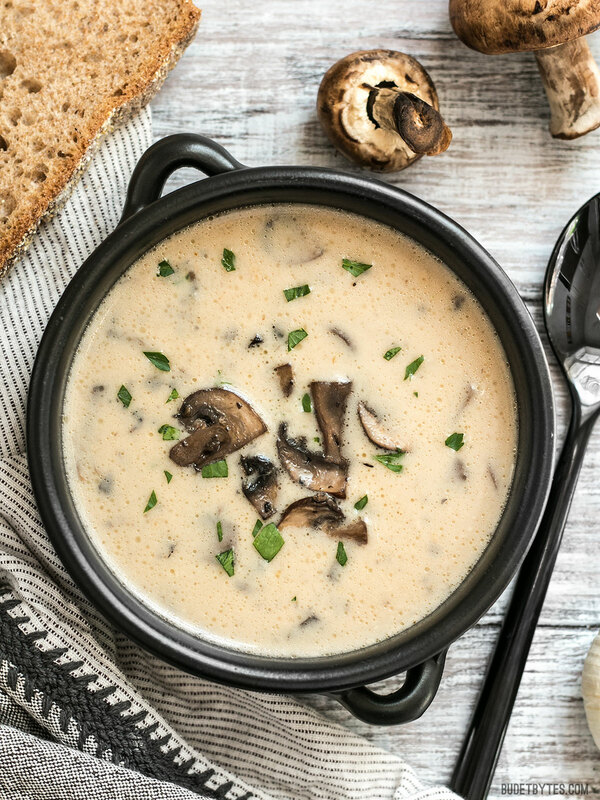 Visit Creamy Garlic Mushroom Soup @ budgetbytes.com for full instructions.